This combination letterhead and envelope combines the best of two worlds, efficiency and cost savings. Designed specifically for the R & R* intellipath system and can be custom printed to your exact specifications. 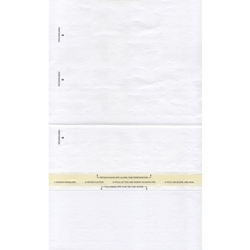 Instructions for detaching, folding and inserting are printed on the gummed flap and are easily concealed when the envelope is sealed. 8 1/2" x 14 1/4"